Jaisalmer is a tourist spot in Rajasthan and it is known as Jaisalmer desert safari. Jaisalmer means ‘the Hill Fort of Jaisal’ and it is named after the founder Maharawal Jaisal Singh. Spending an evening or a whole night in the JaisalmerThar Desert is so enjoyable. We can enjoy a jeep safari, camel safari and a Desert camp with a Rajasthanifolk dance, Musical evening and pure Rajasthani food under the sky in Jaisalmer desert. The Jaisalmer desert safari packages are popular with tourist because they can enjoy the tourist places and a little adventure. Jeep is one of the perfect ways of transportation in Desert. Inthe jeep, we can travel all over the Jaisalmer including Basti and villages where we can see the daily life and cultural life of those places. Jeep moves to the serenity of desert, to see trek of the famous Black Buck Antelope. Lakshmanna, Bhilloki Basti, Sam village and there are many places where migratory birds come in winter are places seen when we drive continues across the desert. Jeep safari in Jaisalmer is done in 4*4 jeeps which have powerful machines. Jeeps are open so sun rays can harm our skin directly. We can continue our trip to see Desert National park and Fossil Park about 50 km.jeep is the best way to see the bird sanctuary nearly 150 km from Jaisalmer. Night stay charge is negotiable. Camel Safari is one of the unforgettable rides in India. Camel safari is done in Jaisalmer. Osian is a place where interesting temples are present. We can stay on Osian Sand Dunes Resort and Camp. Camel safari inthe alpine desert is possible. Best time for camel safari is September to March. Camel safari in Jaisalmer is starting early in the morning to cover some distance before camping spot. After a while camel ride becomes uncomfortable on camel back, so many people complain about it. So bring some pad to sit on it. We should bring some useful thing like toilet paper, water bottle, sunscreen, flashlight, a hat and warm cloth as it can get cold at night. After Safari in Jeep and camel, we can enjoy desert camps. 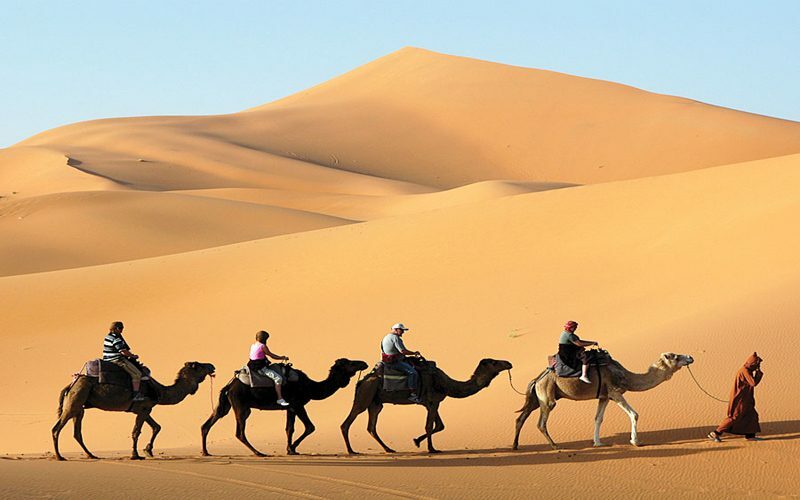 All traveler visit the Sam sand dunes to enjoy a tour on Jeep or Camel and attend the program in camp. There are so many desert camps in Jaisalmer which give the best service. Some of the camps are Royal Desert Camp, The Serai camps, Maharaja desert camp, Karni desert camp etc. Karni desert camps give 20 luxury tents for accommodation with hand-woven fabrics, Royal Dinner table, earthen king size beds, Indian decorative touches, Folk dances and music etc. in lowest fare.